Avaya Equinox™ is Avaya’s latest, mobile-first platform for business communications. Equinox is an OS-agnostic solution that delivers truly unified communications for mobile and desktop users. First launched in Q4 of 2016, this robust soft phone application is accessible to users on mobile platforms (Android and iOS) and desktop platforms (Mac and Windows). Equinox is an enterprise-ready powerhouse, providing a communication experience that fits today’s mobile workforce. Equinox client is the evolution of Avaya Communicator, and leverages both presence and messaging. 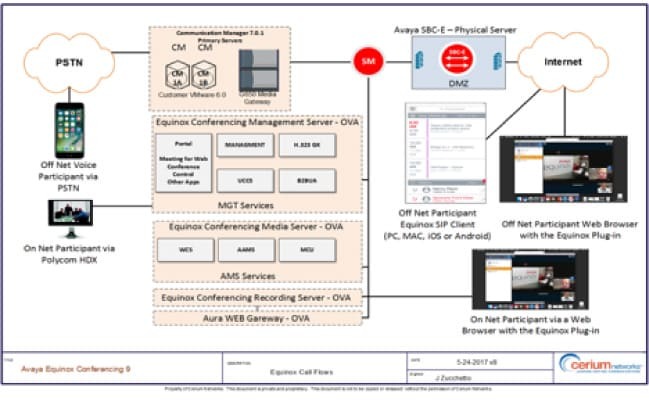 Equinox Conferencing is the evolution from Avaya Aura Conferencing 8. The Conferencing application combines Radvision’s Scopia platform and Aura Conferencing platform. Both the Equinox Conferencing and Equinox Client applications tightly integrate with each other. The Equinox collaboration environment is favored by customers in hospitality and healthcare because of its customizable interface and high-quality engagement. In addition to customizing the interface and functionality, you can tailor the appearance to your preferences, be it a simple phone or integrated contact and calendar page; you can dial your calendar, join meetings with a click, and integrate with your Office 365, etc. Equinox can be embedded for full collaboration inside the applications you work in, such as Salesforce, Office 365 and Google Apps. Equinox is also being well received in the industry due to the intuitive nature of the UI and interactions. One of the great features of Equinox is its persistent, multimedia messaging for text, audio, video, images and files. This enables continuity and always-on effectiveness. Your communications are truly in real-time with Equinox. 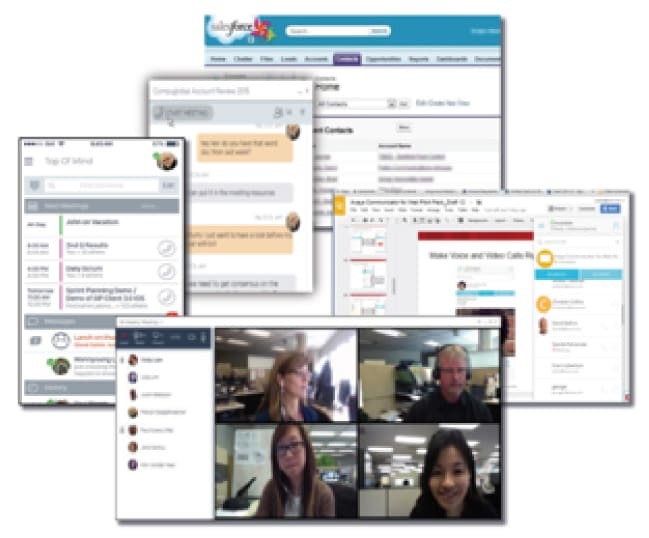 The enterprise class conferencing delivers an evolving set of browser capabilities that mean no plugin is needed to participate through WebRTC. An integrated portal detects what browser or device a user is on, and connects the user to meetings via WebRTC or the native app. Equinox Conferencing includes automatic cloud provisioning for room systems, allowing for rapid and easeful deployment for IT and richer services for cloud providers. Additionally, room system control now extends to iPhones and iPads. Equinox Conferencing includes high-scale, multiparty, HD audio conferencing, rich multi-stream HD video conferencing and extensive web collaboration for content sharing. Meeting features include extensive moderator controls and recording for audio and video. Equinox also has capability to stream town hall meetings, training sessions and other broadcasts to as many as 100,000 participants. Equinox can be virtualized, and is supported on one physical server for small deployments, or distributed on several servers for large deployments. 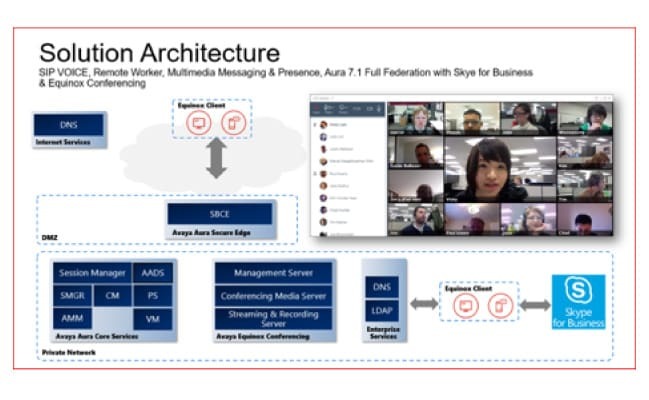 Note that streaming and recording capabilities do require Avaya hardware. Equinox also supports both cloud and enterprise connected endpoints. It features an auto setup and configuration tool, as well as auto updates and maintenance features. 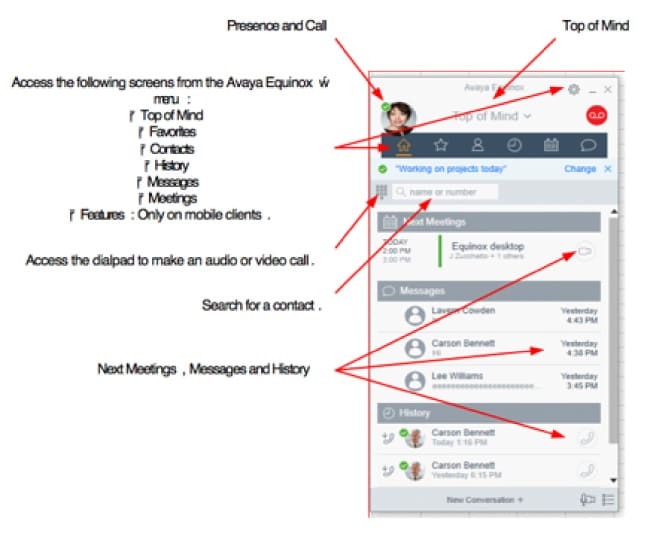 The Equinox client was built on the Avaya Breeze™ Client SDK. The Avaya Breeze Client SDK provides a common, developer-friendly set of tools for building innovative user experiences based on the full reach of Avaya Unified Communications, Collaboration and Multi-touch capabilities. With Avaya Equinox, messaging and conference content is stored on the server, not the mobile device. So, if the device leaves the facility your secure content does not. Recordings are also stored on the server, so they are always available to end-users with valid credentials, but they never leave the premises. Contact us today for a free consultation to learn more about the Avaya Equinox experience and discover how it can support your unified communication and collaboration strategies.